In a recent blog post for the Huffington Post, Professor Keith M. Parsons from the University of Houston – Clear Lake sends a message to his students. It’s gotten a lot of attention on social media, at least in my circles, and as a professor myself, I was interested in what he had to say. After reading his post, however, I am disappointed that this type of teaching (yes, I said teaching), is being advocated by someone in an influential educational position. Perhaps it is because I am a teaching professor in a school of education, but I couldn’t let this one slide. Professor Parsons makes a few points in his blog post that he wishes to drive home to his students, and I’d like to address each one in turn. First, Professor Parsons states, “I am your professor, not your teacher.” He goes on to explain how teaching and professing are two completely different things, and that “it is no part of my job to make you learn.” He makes the case that teachers are measured by learning outcomes and standardized tests, and are held accountable for their students’ learning. He argues that he has no obligation to ensure learning occurs for students. So his argument appears to be that since he isn’t going to be held accountable for it, then student learning is none of his business. Rubbish. Is this really the ideal to which we, as professors, should hold ourselves? No one is going to check and see if your students are learning, so they sink or swim? Professor Parsons also states that universities are old fashioned institutions, and that the idea that professors should make learning accessible to students, or, heaven forbid, student-centered, is “hogwash.” He tells us that students need to “learn to listen.” Professor Parsons needs to learn to listen to the vast body of research on student learning that says that student-centered learning is more effective than teacher-centered lecture; listen to those who are actually experts in the field of education who tell you that student centered learning improves student outcomes (Kember, 2008; Wright, 2011). (Professor Parsons, I tossed in a couple of citations for you there, even though this is a blog post, because as a professor, I do share your love of citations.) Yes, lectures can be captivating, but student-centered learning approaches are far from “hogwash.” They help us create critical thinkers and patient problem solvers of our students. Finally, Professor Parsons argues that the university is a different culture with different values. In this, I agree. The university setting does have different norms and values than the K-12 setting. However, I disagree with the implication that the norms and values of the university setting are better. The university setting is beginning to take lessons from the K-12 setting in ways that are beneficial for everyone; we’re improving teaching and learning, and providing a higher quality experience for our students, and the research supports that. Parsons argues that students see the university as a place to get a credential, while he sees the university as being about education. I am baffled as to how Professor Parsons can refuse to accept the mountain of educational research on good pedagogy, and then state that universities are about education. Professor Parsons, while he may choose to deny it, is most definitely a teacher, as are all other professors with students in their charge. When you take on the honor of holding the education of a group of young people in your hands, you must also take on responsibility for their learning, even if no one will ever check up on you to see how well your students are learning. 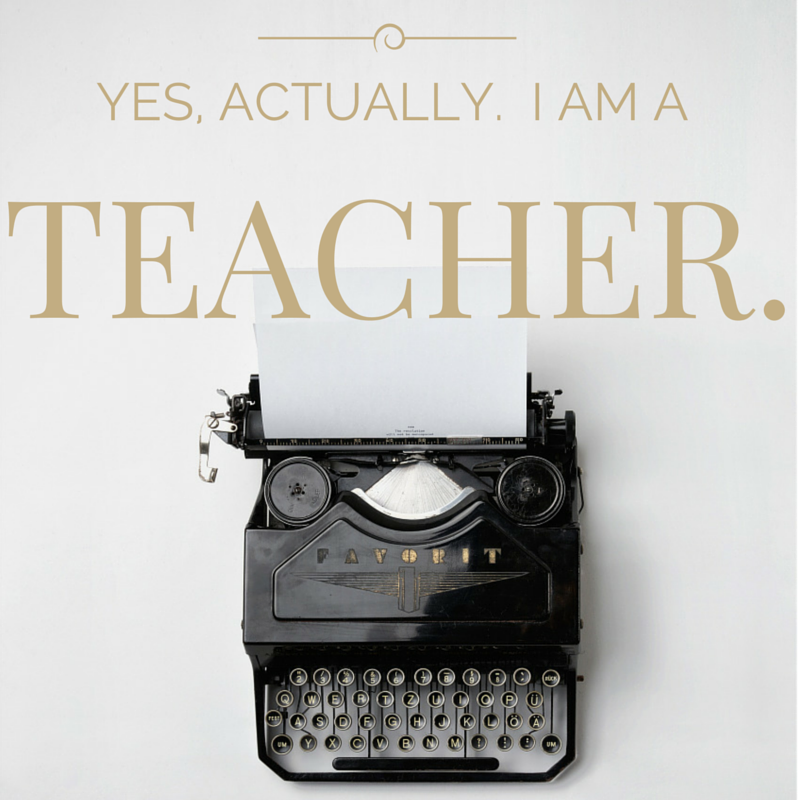 If you choose to take on a profession that involves teaching students, then I beg you: teach them. Engage with your students. Listen to what they have to say. Involve them in projects and experiences. Make them argue ideas and invent solutions to problems. Talk with them, not at them. Support them. Set high expectations, but provide support to reach those expectations. Deeply reflect on your own teaching practice, and examine what you can improve. Teaching should be a process of learning for both you AND your students. For many years, the university system did an excellent job of meeting the needs of a very limited and privileged subset of the population, in a very different world. Students today are not like the students of 30 years ago in some critically important ways. Stop complaining about your students and accept that postsecondary education is, at least in this one respect, changing for the better. Change with it, or become a relic of a system that doesn’t meet the needs of the population it purports to serve. Kember, D. (2009). Promoting student-centred forms of learning across an entire university. Higher Education 58(1): 1–13. Wright, G. B. (2011). Student-Centered Learning in Higher Education. International Journal of Teaching and Learning in Higher Education. 23 (3): 93–94. After reading your article in response to Professor Parsons’ post, I felt very delighted and happy that there is someone in the education field that cares about students learning. Yes, and I earnestly agree with you that “student-centered learning is more effective than teacher-centered lecture”. As an adjunct professor at Westwood College, Upland California, I believe that when students are able to dissect a problem, explain the cause of the problem in their own words, and (with little direction from me) find a lasting solution to the problem that learning has been accomplished. I might add also, that student-centered learning opens the students mind to see the world differently, and with a little help from those who care about students’ learning, a brighter future awaits the students. Gabriel Osamor, MBA, MAED, CRTP.